Courage Comes With Practice When Theresa MacPhail was 4 years old, her brother was killed in an accident. Devastated, MacPhail's mother became obsessed with protecting her only surviving child. As an adult, MacPhail came to believe that courage is a muscle that must be developed by facing fears. 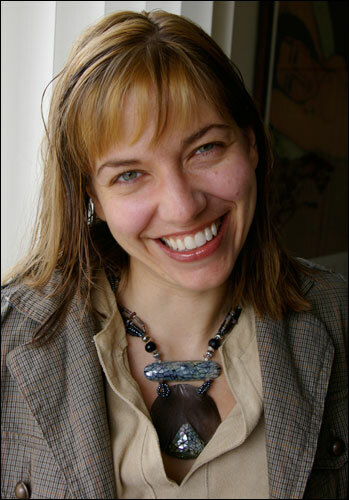 Theresa MacPhail is a medical anthropologist at the University of California, Berkeley. A writer and former reporter, she wrote The Eye of the Virus, a fictional account of a bird flu pandemic. 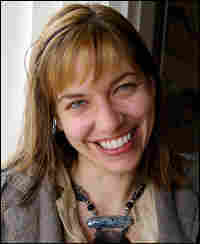 MacPhail lives in Berkeley with her fiance and two cats. I believe that embracing fear produces courage. After my brother died in an accident, my mother was inconsolable. I was only 4 years old at the time, but I still understood the seismic shift in my mom's attitude toward safety. Suddenly, everything around us was potentially dangerous. Overnight, the world had gone from a playground to a hazardous zone. I grew up with a lot of restrictions and rules that were meant to protect me. I couldn't walk home from school by myself, even though everyone I knew already did. I couldn't attend pajama parties or go to summer camp, because what if something happened to me? As I got older, the list of things to fear got longer. My entire life was divided into "things you should avoid" and "things you needed to do in order to have a good, long life." I know my mom was only trying to protect me. She worried about me because after my brother died, I was her only child — and what if something happened to me? What if? I became a natural worrier. I worry about things like getting cancer, losing my wallet, car accidents, earthquakes, having a brain aneurysm, losing my job and my plane crashing — disasters big and small, real and imagined. The funny part is you'd never know it by looking at my life, because I'm constantly forcing myself to do the things that frighten or worry me. In fact, I've developed a rule for myself: If it scares me, then I have to do it at least once. I've done lots of things that my mom would have worried about: I've ridden a motorcycle, I've traveled — a lot. In fact, I've lived in China. I've performed stand-up comedy, and I'm planning my second wedding. I still travel to China often, chasing bird flu as a medical anthropologist. There's something else I don't usually talk about, but it's a cornerstone in my belief: When I was 14, my mother died suddenly in a car accident. That loss, on top of my brother's unnatural death, could have paralyzed me, but at my mom's funeral I remember making a choice. I could either live out the rest of my life trying to be "safe" or I could be brave enough to live out a fulfilling, exciting and, yes, sometimes dangerous life. I worry that I may have betrayed my mother by writing about her in this light, but she has been a driving force in my life — and in the end I think she would have been proud of me. Courage isn't a natural attribute of human beings. I believe that we have to practice being courageous; using courage is like developing a muscle. The more often I do things that scare me or that make me uncomfortable, the more I realize that I can do a lot more than I originally thought I could do. Even though I inherited my mother's cautious nature, I've also come to believe that fear can be a good thing, if we face it. Believing that has made my world a less scary place.